The 19-year-old star decided to catch fellow Canadian crooner The Weeknd play at Air Canada Centre in Toronto as part of his Legend of the Fall 2017 World Tour earlier this week (beg11Sep17), where Drake was also in attendance. But it seems the Hotline Bling hitmaker wasn't easy to approach, as Shawn revealed one of the singer's entourage went into defence mode when he tried to approach Drake. Explaining on Wednesday’s The Tonight Show with Jimmy Fallon that he decided to go say hi to Drake after meeting him “like twice”, Shawn recalled, “So I go over to him and touch his side. Next thing I know I’m in the middle of The Weeknd show with my arm hooked behind my back. Drake’s security guard has me completely at his mercy. "I see Drake look over, my eyes... I knew it was like, ‘Help me, please Drake.’ In that moment, if he didn't know who I was it would've been the most embarrassing, I don't know what I would've done. I would've been in jail. For the security guard's sake, he was doing his job, but still it was terrifying. Don't expect everybody to know who you are." Shawn also talked about his friendship with British singer-songwriter Ed Sheeran, who in August joined the Treat You Better singer on stage in New York. 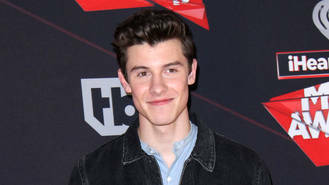 It was the flame-haired Grammy Award-winner who inspired Shawn to pursue his dream of becoming a musician, especially his track The A Team. “I remember that was the reason I wanted to get a guitar; he released this very acoustic guitar-driven ballad and I was like, ‘Alright, now I need to get that and play that song!’” the teenager smiled.